Burnt dolomite is a refractory material and is used in the manufacture of basic refractories. Calcined Dolomite or Flux Dolomite is the name given to the quicklime formed from calcining a natural dolomiticlimestone that contains nearly an equal molar weight percentage of calcium oxide to magnesium oxide. 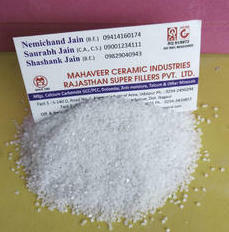 Rajasthan Super Fillers Private Limited, Rajasthan, India becomes an affluent manufacturer, exporter and supplier of burnt dolomite in Udaipur, Rajasthan, India. We are providing a premium quality range of burnt dolomite. We graded grains by quality. We reblend the products according to specification, bagged and marked.